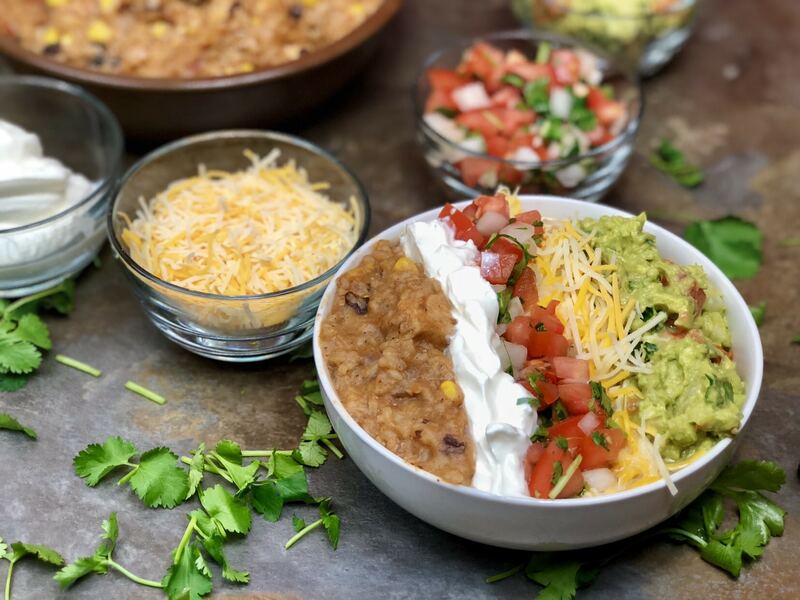 Today I am going to liven up your Taco Tuesday with this amazing Instant Pot Chicken Burrito Bowl. All the hearty goodness of a traditional burrito, but we eat it with a spoon! But the beauty, the beauty is you can take everything in this bowl, and put it in a tortilla shell and have the most delicious homemade burrito you have ever had. Once you add all the toppings, this is the most beautiful, colorful burrito you have ever had. 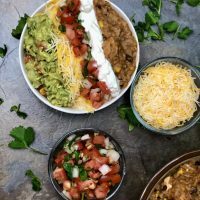 My Instant Pot Chicken Burrito Bowl is just as flavorful as an authentic burrito bowl and the chicken comes out amazingly moist. The blend of Mexican spices and herbs come together to create a dish that you will be happy to put into your dinner rotation. Fresh pico de gallo and guacamole, along with shredded Mexican blend cheese, makes this meal a masterpiece, but not before adding a dollop of sour cream. 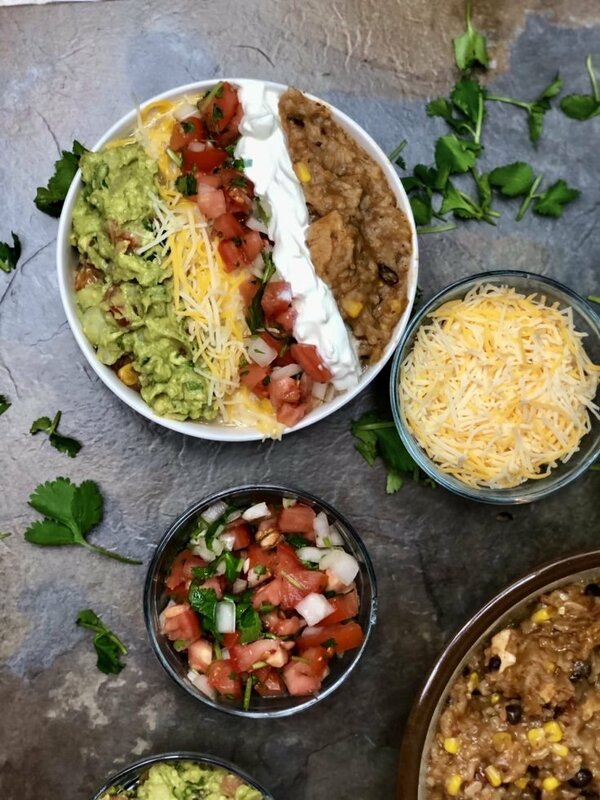 My children gobbled this right up and my best friend drove over to have this Instant Pot Chicken Burrito Bowl for lunch, it was that good! 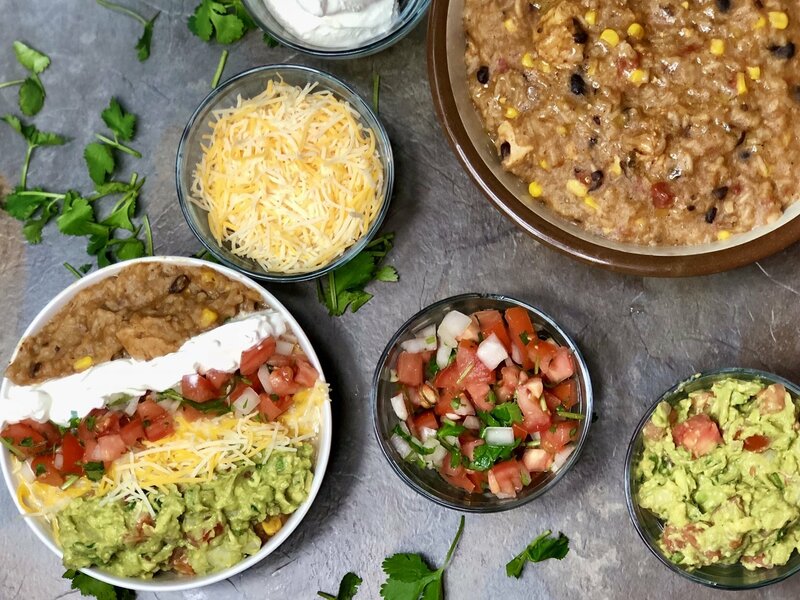 It was time for a change, and we got just that with the creation of this Instant Pot Chicken Burrito Bowl. You’re going to love this awesome recipe. Welcome to making Taco Tuesday amazing again. 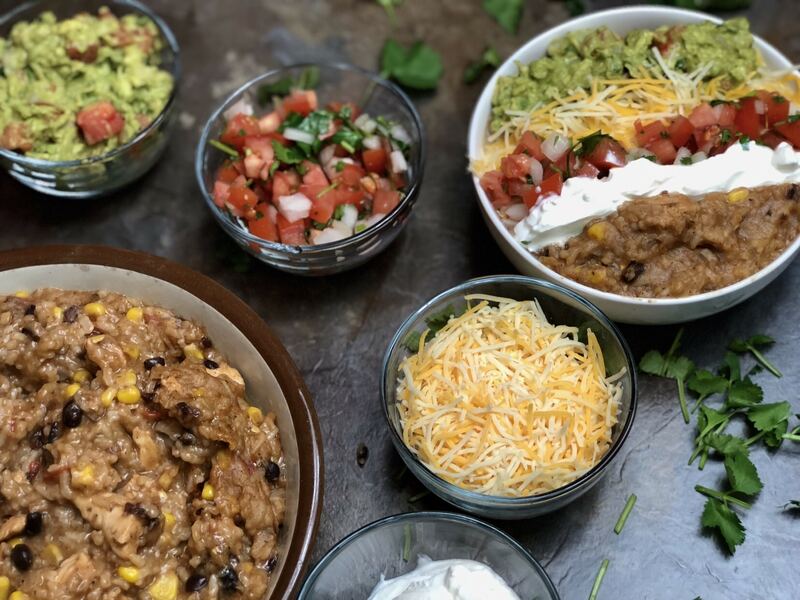 Liven up your Taco Tuesday with this amazing Instant Pot Chicken Burrito Bowl. All the hearty goodness of a traditional burrito, but we eat it with a spoon! But the beauty, the beauty is you can take everything in this bowl, and put it in a tortilla shell and have the most delicious homemade burrito you have ever had. I differ a little recipe-wise, but I basically made this around 3 weeks ago and it was so good! I can never get bored of this burrito bowl. Looks absolutely delicious! Do you put the chicken breasts in whole and then shred them when it’s done or do you start with cooked shredded chicken? My rice button made it complete mush. Do you put in the time manually or just use the button? 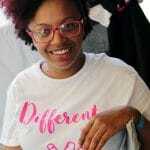 is the adobo the seasoning or condiment? Do you have any suggestions for using riced cauliflower instead of rice? Amount of water used or cooking time difference? Thanks! I’m not sure since cauliflower doesn’t absorb, I am looking to do a keto version. In looking at this recipe to prepare, it looks like there are steps missing. If you put in whole breasts at what step/place do you shred it? 12 mins in Rice doesn’t seem nearly long enough to cook that much chicken. Am I missing something? No. And no steps missing. It’s all there.